I love summer, but hate the sweating that usually accompanies it. Especially when the embarrassing sweat marks appear! I am a waitress during the summer months and looking my best is important! I also volunteer as the music leader for the children at my church and usually plan some fun activity that gets me sweating…in both of these situations I do NOT want to have embarrassing sweat marks! That is why I was so excited to find Sweatshield Undershirts. These undershirts have an impenetrable sweat proof barrier, making sure you get no stains, no sweat, and no smell! I received 2 undershirts to try out. Both were men’s style, but one was a large for my husband and the other was a medium that I anxiously took for myself to try out! I was VERY excited about these undershirts. I wear an undershirt or tank top almost every day and usually start sweating before I even leave the house! We’ve been seeing 100 degrees here in MT (I know it isn’t as bad as some other places, but that is hot for MT!) The Sweatshield Undershirts are made with a lightweight breathable fabric that can help control body temperature. As a waitress, the LAST thing I want is to be visibly sweating, so I was intrigued and excited to try this sweat proof shirt. Once I put it on I was delighted that it was indeed light weight and it did not feel heavy like the average tank top that I usually wear under my shirts. I wore it around the house as I was getting ready for work. After blow drying and curling my hair I was pleased that my torso’s temperature remained cool even when my hair/head was heating up. The soft undershirt comfortably clung to my body and I didn’t have to adjust it all day long like I do with other undershirts. I also LOVED the length of the undershirt. It was long, (went over my hips) so that it can easily stay tucked. I was able to put my work polo over the top of the men’s Sweatshield Undershirt and was impressed that it was virtually undetectable from the outside. You could see a little below my neck, but that is because it was the men’s crew neck style undershirt (if I had the woman’s you wouldn’t be able to see at all). 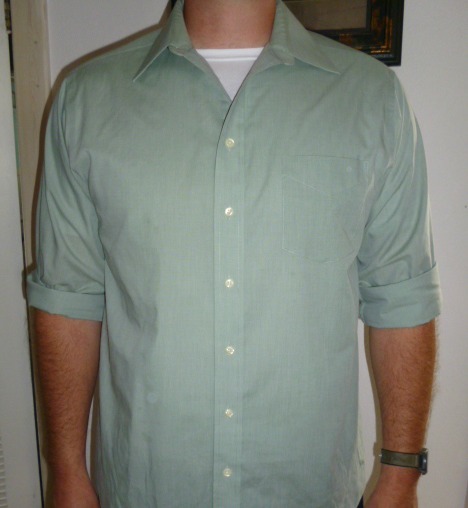 The undershirt is silky smooth and I found that my cotton work shirt moved OVER the top of my undershirt…..it stayed in place….and was very discreet. I’ve got to show you a close up of the under arm portion of the undershirt and explain how this awesome technology works! It LOOKS thick, but it isn’t, it is surprisingly light and feels airy! On the INSIDE of the undershirt there is a comfort layer, making it soft and enjoyable to wear! Here is the underside of the sleeve, you can see the soft comfort layer. So now you know how it works, let me tell you about my first day at work wearing it. It was a really warm day and you couldn’t tell that I was wearing it. As my co-workers started to complain about how hot it was I realized that I didn’t even feel a little bit warm! It was 2 hours into my shift, and a full dining room, when I did start to perspire. The Sweatshield Undershirt did exactly what it was made to do. I had no odor, no sweat marks, and I felt VERY confident. I could raise my arms, comfortably carry trays on my shoulder/above my head and not have to worry about any of those embarrassing perspiration problems! I was in LOVE with my Sweatshield Undershirt! 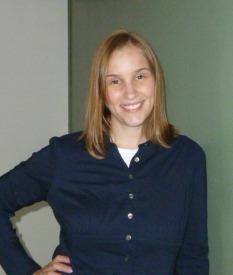 Here I am wearing my undershirt before church! Sorry, forgot to take a pic in my work shirt! I thought for sure my undershirt would smell at least a little bit, but there was NO odor at all! I came home and told my husband about my great experience. I asked him try his out too! We love church, but most Sunday’s it gets warm in the small classrooms that we teach in. My husband wore his undershirt under his dress shirt. The Sweatshield Undershirt is great for anyone that dresses up for work. Not having to worry about embarrassing smells/marks while you are meeting with co-workers or clients is priceless! My husband has a job where he is ALWAYS warm in the summer months. His work requires several layers of clothing (no matter the temperature outside-safety first) This undershirt has been awesome in keeping the body as cool as possible and eliminating sweat marks. 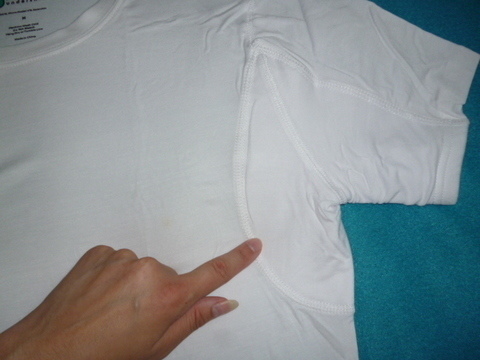 This quick video can show you the undershirt in action! You can purchase any style of the Sweatshield Undershirts on their website for $44.99 each OR you can purchase a 5 pack for $109 (that is only $21.80 per undershirt!) They even offer free world wide shipping! After wearing the men’s style shirt for my last 3 waitress shifts I REALLY want a woman’s scoop neck undershirt! 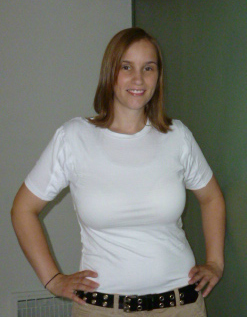 The shorter sleeves would allow me to wear it with almost every shirt I own! Getting a woman’s undershirt is now on my birthday wish list! The folks over at Sweatshield Undershirts have kindly offered to give not just one but FIVE lucky readers an undershirt of their choice! WOW! All you need to do is fill out the entry form below. Only ONE entry is required to get your name into the drawing….the rest are optional! This giveaway will end on 8/2 at 11:59 pm EST and is open to US residents only. A HUGE THANK YOU to Sweatshield Undershirts for this awesome giveaway! Disclosure: Cj from I Love My Kids blog receives free products for review purposes, and may sometimes be compensated for posts. All opinions expressed are solely from Cj. My opinions are my own and were not influenced by any form of compensation. This event is in no way administered, sponsored, or endorsed by, or associated with, Facebook and/or Twitter, Google, Pinterest. This disclosure is done in accordance with the Federal Trade Commission 10 CFR, Part 255 Guides Concerning the Use of Endorsements and Testimonials in Advertising. I love my kids it not responsible for prize fulfillment, that will be done by the sponsor! « The Shrunks Inflatable Toddler Travel Bed makes life easier! A single V-neck for me. The woman’s scoop neck shirt….I live in Florida and between the hot weather and menopause hot flashes…I can’t ever keep myself cool enough……this would be a Godsend! I would love to have the single scoop necked women’s–I would wear it! the women’s scoop neck. I need this for Me..
Womens scoop neck for myself. Amazing value single scoop 5 pack for me. Men’s crew neck for my hubby- he’s got a sweat issue and could sure use it! Besides I forever wear his big shirts anyway. Women’s scoop for my sister. She’s always wearing undershirts because she’s so nervous someone’ll see her sweat. These would be great to win and wear! I love working outdoors, and this would be the perfect solution for me, instead of either getting sunburned by wearing tank tops, or having a shirt stick to me. I have my fingers crossed for this! I love v-neck shirts..so comfy! I would love to try the woman’s scoop neck – for me of course…looks like a great addition to the closet! Womens scoop neck for my mom. I would get the women’s scoop neck. I would love to wear it under my clothes while at work! Women’s scoop neck for me as well. After 16 years of hot flashes I’m still looking for shirts to keep me cool. Scoop neck for me! Thanks for this chance. I would want the women’s scoop neck t-shirt. I would get the Single Scoop Neck for myself. I want the scoop neck white shirt in women, the v neck white shirt for the boys, and the crew neck white shirt for my husband. I would want to women’s scoop neck for myself. I would get the women’s scoop neck for me. I would love to try the Single Crew Neck. It be cool it these came in colors also. I would like the single V-neck for my son. He’s an athlete and sweats alot even when he’s not working out. Thanks for a great giveaway. This is certainly useful! Love to have one of these for both of us. The south is always hot in the summer. I would definitely like to try the women’s scoop neck size lg. I would’ve said the men’s V-neck for my husband but the sleeves seem a bit long and restrictive and he wouldn’t like that at all. I like the scoop neck for women. I would wear it. womens scoop neck M my daughter needs this for no more wet spots. Men’s XLarge for my sweaty hubby! I’d choose the men’s v neck for my hubby. He rides his motorcycle to work and it’s hot outside! I would choose the Womens Scoop shirts for myself! I would wear them under my workout clothes and when I am involved in outdoor activities with my husband and our 3 children! Crew neck for my husband. I would love the women’ scoopneck in XL. No new clothes for me in the last 2 years. I would choose the V-neck & I would give this to my daughter who sweats profusely & is always embarrassed by it. I like the woman’s scoop neck. I would be wearing this. I would use it. I’m daily out in the garden and if it’s after 8 in the morning … it’s a SAUNA out there! I work in a warehouse, and work up a sweat everyday. I would wear the deep scoop neck for women! It looks nice and comfy, especially for work! The mens v neck for my Dad. Womens scoop and mens crew would be perfect for me and the hubby! Thanks for the chance!! I would love to win the Ladies Single Scoop neck shirts! i have a horrible sweating problem.. i use Drysol but it barely helps! These would be a blessing to win! I would get the women’s for myself. I like the mens single v neck! Men’s crew neck for me! I would absolutely use the scoop neck!!! The crew neck for my husband who is in the lawn care business in Southern Calofornia. HOT! The men’s v-neck for me! I never heard of these before – thanks for sharing them! Single V Neck. My husband needs this. Men’s Crew Neck for my other half! The woman scoop neck that would be perfect for my workouts. I am hot-natured so I would appreciate the women’s scoop neck tee. I would like the men’s v-neck. My husband is a heavy sweater so he would really benefit from this type of garment. I would get the women’s scoop neck. I love layering my clothes, but Hot Flashes, make that intolerable most times. I want to try this!!! Either style.Believe me it will be a test the poor shirt will go through. I would wear the women’s single scoop neck shirt. I’d get the Men’s Crew for my son. I would pick the women’s scoop neck for myself. I think the V-neck, though the crew neck would be great too. This would be awesome for agility trial days. I definitely work up a sweat running the obstacle course with my dog! I would be the one wearing it and I like the single Scoop Neck. I would want the Woman shirt for my mother. I like the single crew neck Tshirt for my husband. I would get the women’s style for myself. I’m job hunting and I tend to sweat when I’m nervous. I would love to have a shield against that sweat while I’m interviewing! I would want Men’s Crew. This would be for my hubby. women’s scoop neck for me i sweat something terrible in the summer. I would get the women’s scoop shirt for myself. The men’s single crew neck for my husband. Thank you for the chance! THE V NECK T SHIRT MY HUBBY COULD USE THEM. I would like the Womens Single Scoop Neck Tee and I would wear it! I would love to have a scoop neck to try. I hate sweating! I wanted to get the crew neck for my husband but they don’t have his size (xxl) 🙁 So instead I’ll choose the women’s scoop neck in Medium for myself. I don’t need one everyday for the perspiration aspect like he does but I definitely like that u said it went over the hips, stayed in place and clung to the body! those aspects will make it worth it to me!! I would get the women’s scoop neck if I won, for my daughter, who also is a waitress. She has the same worry about underarm wetness that you do, as she is lifting over her head. This sounds like a perfect solution for her. I would like the women’s scoop neck for my evening work-out! I’d love the scoop neck for my sweaty self! I would pick the men’s v-neck so my husband could wear it to work. I would definitely try the scoop neck and if I liked it I’d buy more for myself and my husband. the men’s crewneck for my husband. He is a welder and is really hot all day I think he could really use this. – Thanks! The Men’s Single Crew Neck would be for my husband. He is deployed in Africa right now and needs to dress up because he works out of the embassy. It is hot hot hot there so these are perfect for him. I’d like to try the woman’s scoop neck. I would get the scoop neck for me. I am so curious to try these and see if they work. I power walk every morning and sweat profusely ! Mens crew neck size large ( I hate things that are tight and am a tall person. I would love one for my sister a hard working mom and has a full time job would be great !! Women’s scoop for me! Great to wear for work!! I’d like the women’s scoop neck! thanks! I’m always looking for something like this for the same reasons you are, I almost always wear a t, undershirt or tank under my clothes and it does get hot. So I’m going to say it’s the scoop neck for me. Would live to give this a try after reading your blog about it. The female scoop neck is the one that I would love to wear! Mens V-Neck for my husband. Women’s scoop next for myself or my mom! Single Scoop Neck for women. Single V Neck for my son. I would get the mens crew neck shirt for my husband. Thank you. I would choose the Mens single v neck tshirt. My 15 year old nephew would be the proud owner. These t shirts look very comfy and long lasting. Just the right stuff for our long hot days in Texas. The women’s scoop neck would do me good, hot flashes and humidity are no fun…..looking for coolness. Mens Crew neck-size L. for my son. Both boys wear a Large, so they’ll fight over it, but one of them smells like vinegar when he sweats, so I’d give it to him! v neck and it would be for me. I prefer the Single Crew Neck. Your review said they are long, I like that. I’d wear them every day! I really want to try one of these tshirts for myself & my Husband. Wow Hubby would love this. He sweats in the winter, then gets cold…..
Woman’s Scoop Neck for me, PLEASE! I like the scoop neck tshirts! I’d love the scoop neck for women- for myself…entering menopause and the hot flashes are KILLING me lol! I would get the crew neck for my husband. He wears Under Armour now, and would LOVE to try these! I of course would LOVE to try the women’s scoop neck also, however, my husband wears an undershirt every day. I would love to win the Men’s Crew Neck for my hubby! Thanks! I would choose the scoop neck for myself if I won. id get the mens vneck for my husband to wear under his work shirt. women’s scoop neck shirt for me!! I would get the crew neck for my husband and the v neck for me. He is a bartender and can sweat through a button down very quickly. I wear a tank every day and would love something I can wear for my walk to work! I would like the womens’ crew neck. The women’s scoop neck. Oh my goodness this would be amazing to try. women’s scoop neck for ME!!! I would love to try the Crew Neck!!! I would love to get the Men’s crew neck for my husband! He wears an undershirt almost every day and the lightweight aspect of this would awesome! Thanks for the chance to win! I’d love the value pack for sure! The scoop neck or the v-neck would work for me. I would love the Womens Scoop Neck and would definitely use it for myself! I would love to have a women’s scoop to run in! Womens scoop neck and I would be getting it for ME!! I would like the scoop neck for me. These shirts work. I wear dress shirts every day to work and avoided any colour that would show the sweat from my underarms. But here are some words of caution. The thin material the rest of the shirt is made from fits very tightly. So I suggest you order the next size up. And I found my dress shirts clung a bit to that material. Minor annoyance given the shirt keeps my dress shirts dry. Now with respect to customer service, don’t expect too much. I wanted to exchange my Large Tshirt for an Extra Large. Tim Shaw told me he had no problem with that. He would refund my money as soon as I provided him with a shipping tracking number. He provided me with an address to which I needed to return the shirt. It has to be returned to China, and the address I was provided wasn’t clear and I never did get an answer from Tim clarifing this return address. Now the next thing is you have to ship this Tshirt back to China. I don’t know what shipping costs are in the US, but from CanadaI could ship the shirt via airmail for $20 but tracking numbers aren’t provided unless I ship it priority which would cost me $70. So now I am stuck with a Tshirt that would cost me more to return than it would take to buy a new one. I choose to keep the shirt and wear it (as uncomfortable as it is) until my Thompson Tees arrive. Now that organization has true customer service. Thank you very much for your feedback and we apologize for any convenience caused. In order to deliver the best solution at the best price we need to operate the business the way we do. Do things always go as planned: No. Are mistakes made: Yes. Are there breakdowns in communication as has happened here: Yes. Do we apologize for these imperfections: Absolutely. Can we please all people all the time: No one can. Will we continue to improve the lives of our customers: Absolutely. 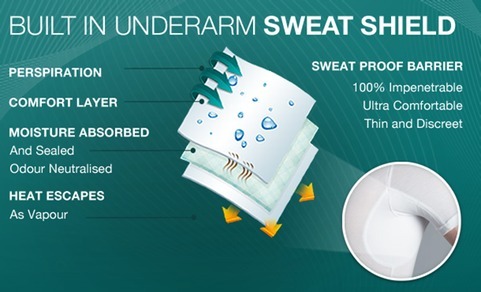 Sweatshield Undershirts are designed to be form fitting so that they can be worn under any garment. They are quite different from any other Sweat Proof Undershirt in this regard as most are somewhat baggy t shirt type designs that sit very poorly under T shirts, Shirts and Polo Shirts and I do apologize if the size was not right for you. People buy our undershirts precisely because they dont like the fit of Thompson Tee (and I am sure vice versa). 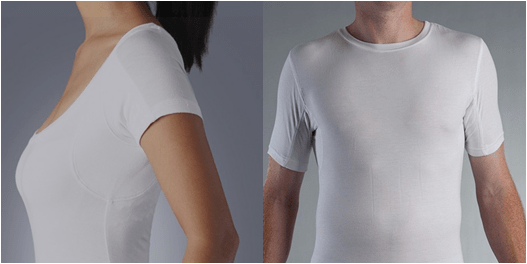 Most top end modern undershirts are made from the same fabric as Sweatshield Undershirts for comfort and because outer fabrics “glide” over micromodal fabric much better than cotton (refer to Tommy John for example). In essence you have purchased an undershirt from us and you dont like it. You return it to us and we refund 150% of the purchase price which alsso recovers return shipping. We are refunding you entirely for the purchase and for a shirt that has been worn and is unusable. Thats a pretty good deal by any standards. We do state very clearly on our website that customs duties are payable in Canada and that we are not responsible for paying those. Clearly we cannot be responsible for a countries import duties and we clearly state that. You have purchased an undershirt from us which we have offered to return the cost of in full including return shipping (in fact we asked you to try out the undershirt and see if you liked it first with the intention of allowing you to keep it for free but sadly you didn’t give us any chance to show you what we are about) and now you post all over the internet at every available opportunity about our bad service. I truly do not understand your approach. You gave us no chance to allow us to give you any service as we have addressed on the other places you have posted your comments around the internet. I wish you all the very best with your purchase of the Thompson Tees and although very different in terms of fit and functionality I have read and heard very positive things about them. “These shirts changed my life, now colors other than black and dark blue are an option.. 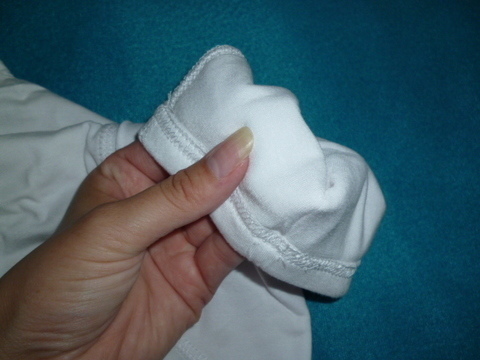 Even a gray garment shows no marks due to perspiration. 100 % recommend them, tried many other things, these are the only practical product that never fails. The money back guarantee supports the quality, try one and see for yourself”! For the record Tim, I know your shirts work and have indicated that in every review I have done. There is no question on that. And I respect you for stepping forward and defending yourself. However, we need to clarify a few things from your post. In our Email communications, you graciously offered to refund my money so I could purchase the next available size, but you also made it clear that return shipping was at my expense. And yes, you suggested I keep the first shirt and try it out. You indicated in your Email that “If you like it and it works I can then send a 5 pack at a discount”. I did try it, and as I indicated, it worked well, but was uncomfortably tight. So I replied to your Email and asked what kind of discount you had in mind on a 5 pack and your reply was “These are on sale at the moment for $99.99 reduced from 109.99″. Tim, with that statement, I felt your “intentions” were very clear. You cannot claim that you were unaware of the context of my request at that moment, because all our previous Email communications were attached. All you had to do was scroll down. So I did give you a chance to show what you are about, but the key points you wrote here on this blog were never communicated to me. So forgive me if I feel compelled to share my frustrations with other hyperhydrosis sufferers. Hi Bill – GOOD FOR YOU IN STANDING UP FOR YOURSELF! The ONLY reason Tim Shaw’s shirts work is because he knocked off Thompson Tee. I’m sorry you have to defend yourself from this scumbag!! What a jerk! No respectable company would treat their customers like this. This shirt is made in China and knocked off Thompson Tee’s patent pending Hydro-Shield Technology, which IS made in America, supports fair and ethical treatment of garment workers and environmental regulation NOT found in China… your support of this product jeopardizes the American economy and the American worker. One of the issues with Thompson Tee is that they are made of somewhat cheap cotton fabric that turns a nasty shade of yellow very quickly and the collars tend to “Bacon Neck” after a couple of washes. Micro Modal is a far superior fabric and is expensive to buy and manufacture as MANY American companies have found and why so many US and European companies manufacture their apparel in Indonesia, China and Vietnam. To manufacture high quality Micro Modal apparel in the USA and offer it at a reasonable price to consumers is not feasible. This is why we made the decision to offer high quality goods at affordable prices and thus manufacture in Asia so that our clients get the best quality at the best price. We do wish Thompson Tee all the very best and of course they are good undershirts for what they are but if you want quality fabrics at identical or cheaper prices than the cotton undershirt that Thompson Tee offers then Sweatshield is probably the best option. Timmy boy (far from a respectable man) – you’re a real piece of work, defending your knock off that threatens the American worker. Amazing how you fling testimonials around the web like they’re a result of something you created. You wouldn’t have those testimonials if you didn’t knock off Thompson Tee! I tried your product before and it didn’t work – a piece of junk with false claims. Then I found the Thompson Tee and it actually worked. All of sudden your product, flawed and inferior for years (since 2008), now comes with the same design as the Thompson Tee and you go about claiming credit for it??? – if you have children, I feel bad for them – it’s a shame their father is a knock off artist who exploits cheap (and probably illegal) labor. I spoke to the folks at Thompson Tee and they are well aware of your tactics. I offered to pay their legal fees in shutting you down in the U.S. once their patent is approved. I also showed them your post – despite your claim, they said they CAN and are planning to make a form fitting micro modal shirt in the US and offer it at the same price as their original tee (or should I say “THE ORIGINAL” sweatproof tee). Funny you comment on the quality of Thompson Tee’s fabric which is actually a premium cotton, you mention the yellow staining which has NOTHING to do with the fabric (for the record, it’s the antiperspirant that causes yellow staining – how do you not know that?? ), and I’ve had my Thompson Tee for over a year now and NO bacon neck whatsoever – again all lies that someone with your ethical fiber propagates for their own gain. So either by market forces or legal forces, your time in the U.S. is limited. You scumbag! We wish you and Thompson Tee all the very best. Hi. I have written a blog of late on my usage of Sweatshield and how they compare to Thompson Tee. Hope you don’t mind me linking here. To me they are a great ‘cure’ if you sweat under your arms. Product choice is yours. These things are so cozy and efficient I want to marry them! I’m a millennial (I found out recently) and I approve!